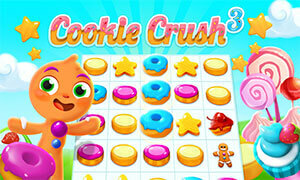 Cookie Crush 3, the newest iteration of the beloved and addictive match-3 game. Everything has just become a bit more colorful and enjoyable. At its core Cookie Crush 3 remains the game you know and love. Again, you have to combine at least three delicious cookies to remove them from the board and to meet the level goals in order to advance on your journey. But there is more! Meet your new host Gingy, the cute gingerbread man. He will be pleased to guide you on your way through more than 700 levels and teach you all the tricks you need to know to solve even the most complicated puzzles. Come back every day and receive your Daily Rewards. 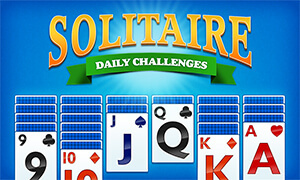 Complete Daily Missions to earn extra coins and Boosters or play the Daily Challenge to earn extra stars that might help you unlock treasure chests and gates to new levels. Play Cookie Crush 3 now for free and enjoy tons of addictive match-3 challenges and calorie-free sweets!